The Dallas Mavericks are one of the United States top teams in the National Basketball Association (NBA) today. They have made the playoffs 5 out of the last 7 years and were named NBA league champions in 2010 when the defeated the Miami Heat in 6 games, taking the series 4-2. They are lead by their power forward Dirk Nowitzki and their charismatic owner Mark Cuban. At a recent press report Cuban told the press that the Dallas Mavericks will start accepting cryptocurrencies Bitcoin, Ethereum and CyberMiles in the up-coming NBA season. They will be accepting the decentralized currency for tickets sold online and for anything purchased online in the merchandise store. While several companies have recently opened up to accepting Bitcoin, not many have branched out into the other forms of available crypto. Cryptocurrencies are often used for online purchases, online casino and sports betting sites. They usually have the best turn around time for transactions placed online. Recently cryptocurrency has started seeing a greater digital acceptance with companies such as Microsoft, Dish, NewEgg, Expedia and Overstock.com accepting some form of crypto. This announcement makes the Dallas Mavericks the 2nd professional NBA basketball team to start accepting cryptocurrencies and the only current professional NBA team to accept Ethereum and CyberMiles. Cuban said he has been contemplating the idea for some time now but the team’s current partnership with 5Miles helped him realize the time is now. 5Miles will be the teams leading sponsor for the upcoming season and will receive a jersey patch on the Dallas uniform. Mavericks forward Harrison Barnes will be the brand ambassador and the team will also collaborate on community initiatives. Cuban stated that the decision to include crypto had a lot to do with the team’s partnership with 5Miles. 5Miles is a Dallas based online marketplace that specializes in selling goods and services to the community via their application and online site. They also accept CyberMiles tokens, the form of currency from the blockchain based platform. Cuban said that he really wants to take the lead on introducing the blockchain to the marketplace. He, like many others believe it is a safer and more secure environment than the current credit card system. This announcement comes just days after Sports Illustrated alleged that Cuban’s team was harboring a “corrosive workplace culture” with “misogyny and predatory sexual behavior” and just days after a sexual assault allegation against Cuban resurfaced from 2011. Cuban denied all allegations and said that he is embarrassed that the teams apparent corporate culture is something that is considered unacceptable. He vows to fix it. The 2011 assault charge has been adamantly denied by Cuban and his lawyers. Prosecutors never perused the case based on a lack of evidence and no witnesses. The accuser claims Cuban more than groped her while they were taking a picture in a Portland nightclub. Cuban and his lawyers claim it just didn’t happen. 5Miles CFO Garwin Chan called Mark Cuban and his team a world-class organization and based on their interaction and experience with Cuban and his team they are comfortable with this new partnership. Chan stated that they are completely supportive with the way Cuban has been handling the recent accusations against his team and they believe this matter will be addressed right away. 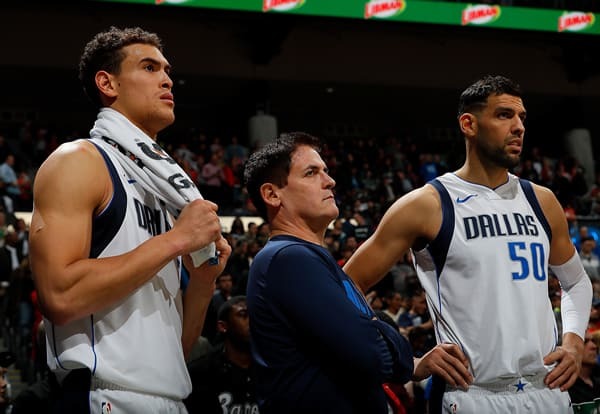 In the recent Mavericks press conference Cuban announced that he has always wanted to be 2 steps ahead and this is one reason he is bringing the blockchain to the court. The deal with 5Miles will extend to the end of the 2019 NBA season. There is no doubt that the Mavericks will be in the running for another playoff appearance but only time will tell if the hit a slam dunk with cryptocurrency. If nothing else, it will at least bring more attention to their organization and the tech geeks like Cuban, will take notice of the digital advances they are creating in Dallas.